Did you know that anytime you react to a post, Facebook is storing this data to create a comprehensive profile of your preferences and online tendencies? While this might be scary, there’s an app that will help you randomize your reactions to the point where Facebook simply can no longer make any sense of them. 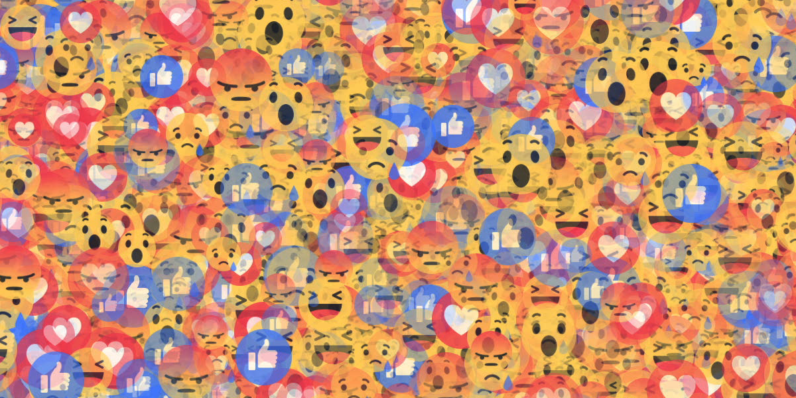 Available for free, Go Rando is a nifty browser extension that automatically balances all of your reactions in order to hide your true emotions from Facebook’s ever-improving artificial intelligence. Anytime you react to a post, the app randomly selects one of the six available reactions for you. To obfuscate your engagement on the platform from of any meaning, Go Rando feeds Facebook’s algorithms with reactions in such a way that over time you’ll appear as a person with perfectly balanced views – on any topic. But more worryingly, it also puts your “economic future” at risk as it enables corporations and government agencies to keep tabs on you and generate “algorithmic analysis of [your] state-of-mind.” This significantly increases the possibility of abusing and misusing such information for personal gains. To raise awareness of this issue, Grosser has open-sourced Go Rando on GitHub, where you can peruse and toy around with the code by heading to this repository. While those using Chrome can get the extension from the official Web Store here, users with other browsers will find more instructions on how to install the app at Grosser’s blog here.